Contemporary accounting faces a full range of challenges in addressing the growing need for information from financial statements. Non-financial information disclosures are becoming increasingly common and important. Especially for the largest Polish companies its’ disclosure is a legal obligation. Among non-financial information, forward-looking disclosures might be considered crucial, as they are bound with a certain level of risk for both the entity and the recipients of the financial statement. In this paper the problem of risk in accounting will be analysed from the perspective of the forward-looking disclosures. 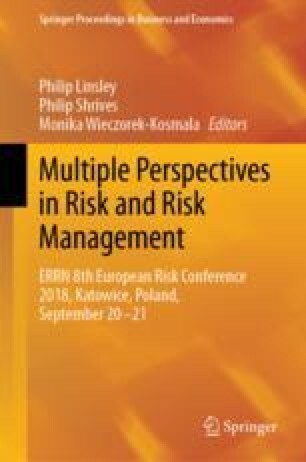 This paper aims to investigate the relationship between the type and range of forward-looking information disclosures and the problem of risk in the accounting system, which is an emerging research area on Polish ground. The main goal of this paper is to present the general concept of forward-looking information disclosures and their associations with risk factors. The research method applied in the theoretical part of the paper is a critical analysis of the available literature and law regulations on the topic. The paper also features an empirical part which examines the forward-looking information in financial statements of companies quoted on the Warsaw Stock Exchange. There is a very limited number of studies that cover forward-looking disclosures in Poland. Therefore, a preliminary study conducted in this paper might serve as a basis for an extended research. The study bases on the content analysis method, which along with the usage of text analysis software is a widespread tool in international studies. General results indicate a relatively low level of forward-looking information disclosures, which could indicate an aversion towards risk in accounting. However, a variation of results among industries may be observed.